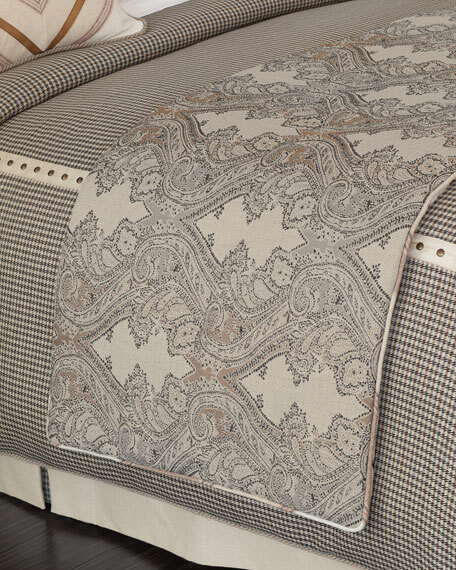 EXCLUSIVELY OURS.King bed scarf, 25" x 105".Polyester/acrylic/rayon/cotton and cotton/polyester. Dry clean.Made in the USA. 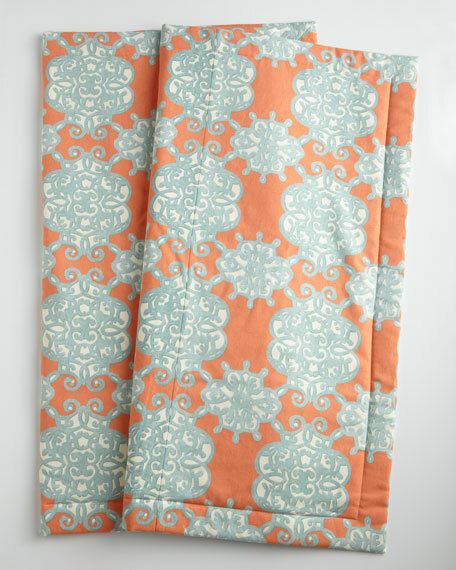 Art patterned throw.Features 1" flange.Shell and lining: polyester.Dry clean.28" x 102". Made in the USA of imported materials. 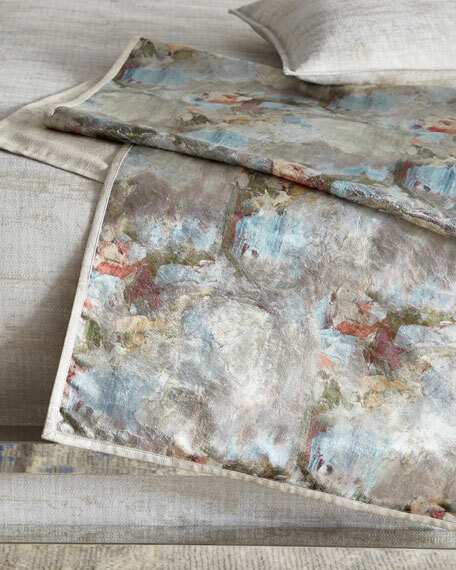 Art patterned throw.Shell and lining: polyester.Dry clean.28" x 90". Made in the USA of imported materials. 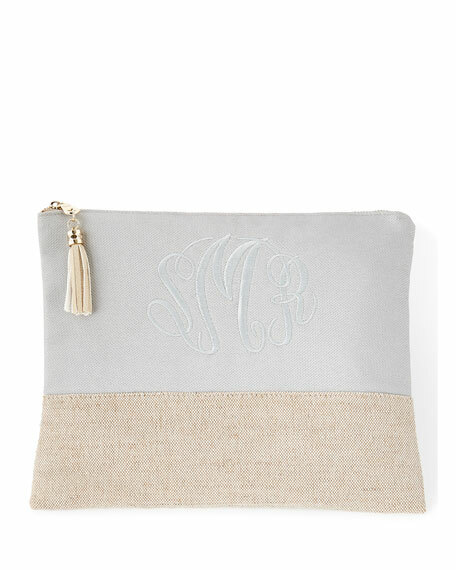 Pouch made of linen and metallic fabric.Cotton lining.Personalization is three initials in color and style shown.11"W x 0.5"D x 9"T.Imported.